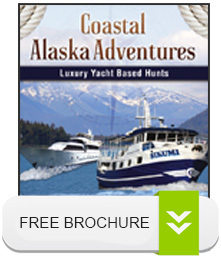 Coastal Alaska Adventures has a long history of sponsorship’s and donations in Alaska and throughout the United States. Being a local company, we understand the importance of supporting individuals and charitable organizations. After being diagnosed with Parkinson’s Disease in 2015, Gibson has decided to expand the mission of the Kirk Gibson Foundation and is committed to raise money and awareness for Parkinson’s Research, by promoting collaboration, cooperation and teamwork. The Kirk Gibson Foundation fundraising efforts are not limited to Parkinson’s, rather all neurological disorders associated with the disease including ALS, Dementia and Alzheimer’s. To help meet the needs of America’s Veterans and their families by providing relief through established Veterans organizations. To help ensure America’s Veterans have housing, health care, and education needed to live fulfilling and productive lives. To apply the highest standards of business integrity and accountability. This support is offered to Veterans of the United States of America as our commitment to Americanism. The Texas Hill Country Chapter is dedicated to sportsmen’s interests in the Hill Country and around the world. We recognize that the most important function we have is to support the protection of your right to hunt! Also, we recognize, the absolute importance of being involved in conservation efforts here and around the world, as SCI is the greatest leader and supporter of any organization in that field. Founded in 2008, the SEAL-NSW Family Foundation is a nonprofit organization that raises funds and awareness for special programs in direct support of the Naval Special Warfare families on a local, national and global scale. In 2012, the Foundation raised $2.2 million in funds, including more than $500,000 for the Ty Woods and Glen Dougherty Memorial Funds. More than 90 percent of all funding supports direct services, and remaining funds directly support program administration and Foundation operations.